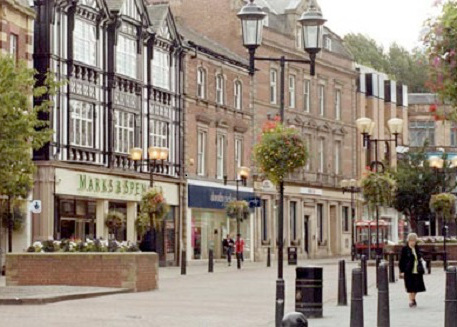 Home to over 250,000 people, Rotherham has developed considerably from its northern market town roots, and is today one of the largest towns in South Yorkshire. Home to over a quarter of a million people and offering some of the most competitively priced property in the North West of England, Rotherham offers significant potential for buy to let investors. Despite the more challenging economic climate of recent years, Rotherham has seen something of a economic renaissance in recent times, as today a large number of small to medium size business have chosen to relocate to the area. A part of the wider Sheffield City Region Local Enterprise Zone, Rotherham has seen significant increases in investment in the past few years from local employers including Rolls Royce. Understandably, wider investment from major international companies, coupled with government initiatives and grants have seen an increased number of small to medium sized companies relocating to Rotherham in recent times. At present, it is estimated that there are in excess of 35,000 households in Rotherham being privately rented, ensuring a large demand for buy to let property in Rotherham and the surrounding areas. We now offer a wide selection of buy to let properties in and around the central Rotherham area, and clients who are interested should contact us directly for a free brochure.